I have had a long love affair with Spain. It began in college when I lived and studied in Spain, and I’ve nurtured the affair over the years visiting numerous times. In all the visits to my beloved, I have never walked the Camino de Santiago – the Way of St. James. I’d heard of it, of course, and thought it sounded like an interesting thing to do, but never spent an ounce of energy trying to make it happen, even though I’ve been to Santiago and visited the cathedral that is our final destination. But when I was asked to be a co-chaperone on the Spanish exchange trip offered to high school students at the school where I work, I could not pass up the opportunity. Part of the exchange experience will be to walk the last ‘leg’ (70 miles or so) of the Camino. There are many paths to Santiago, but the most common is known as the Camino Frances, which begins in Roncesvalles, France. To walk from there can take about four or more weeks, depending on pace. There is not time for us to make the complete pilgrimage, and a week walking with teenagers seems to be just about enough to give them a feel for the experience. I’ve seen some blogs and forums on which people call it cheating to ‘only’ walk from Sarria (the town where we will begin to walk). But is it really cheating to do what you can? Will the experience be any less meaningful, less spiritual? A slice of cake tastes as good as the whole cake, no? For about a thousand years people have made the pilgrimage to Santiago de Compostela. Originally (and still to this day) the religious walked the Camino as a rite. 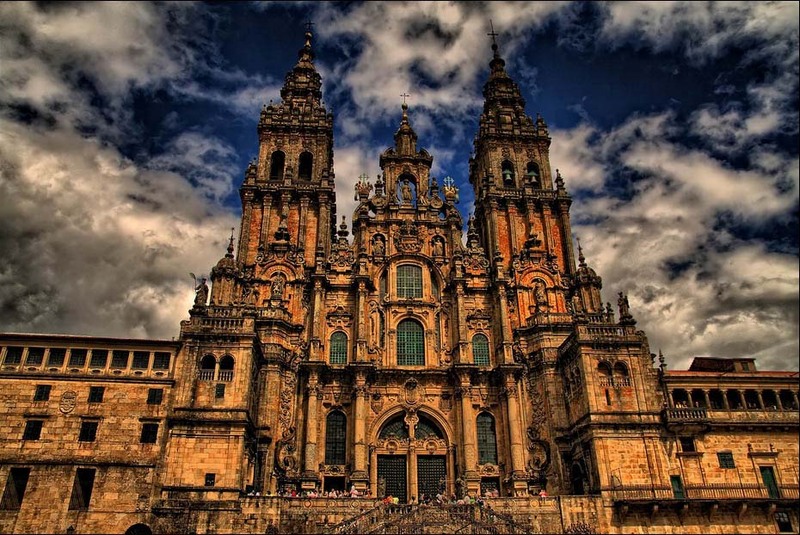 It was a spiritual journey to the remains and tomb of St. James the Apostle, around which both the cathedral and the city of Santiago de Compostela were built. The Camino was considered the 3rd most important Christian pilgrimage, behind Rome and Jerusalem. In the middle ages it was exclusively a religious act, but in the 20th century people began to come from all over the world to walk the Camino for many reasons: to discover themselves, to cope with loss, to reflect on Big Questions, to solve problems, to achieve something. The reasons are as varied as the individuals who undertake it. The Camino was named a UNESCO World Heritage site in 1987. I didn’t set out to be a pilgrim. I had not carved out a place in my life to make this particular journey. But the Camino came to me in the form of this unique opportunity, so a pilgrim I am. A peregrina. I will set foot on the trail with my scallop (the sign of the pilgrim), walking stick and a group of students. One cannot walk for several days, twelve to fifteen miles a day, in rain or shine, cold or heat across the fields and hills and through the towns of Galicia and not look inward, reflect and discover. What will I think about? What will I learn about myself? Will I find answers to lingering questions about my life? What will I discover about others I encounter along The Way? What will be challenging? What will be rewarding? When I cross the threshold of the cathedral will I feel different? The experience will be made richer by the presence of young people, one of whom happens to be my 17 year old daughter. I am thrilled to have the chance to embark on a journey like this with her and her classmates, and to observe the Camino through their eyes as well. What will they discover about themselves and the world? I wish us all a ‘buen camino’.